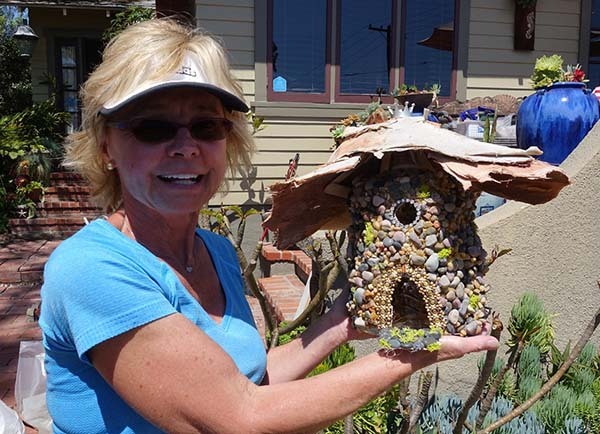 Green Thumb Crafts is a group of garden club members meeting in a friendly informal group at members’ homes. 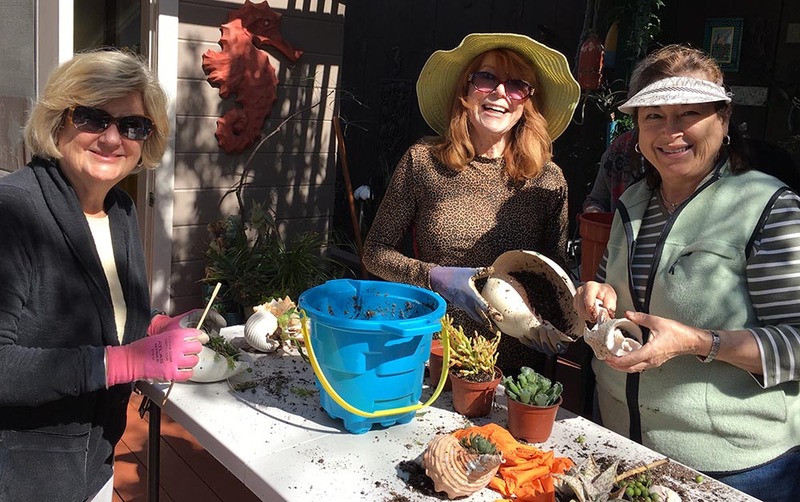 Members exchange information and ideas regarding gardening activities and problems, do garden-related craft projects. All club members are encouraged to participate in these projects. Information on each monthly activity is available in Weeder’s Digest. 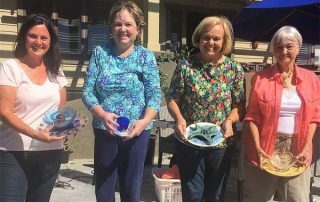 Natalie Harlow-Alison led a Green Thumb Craft workshop creating glass flower plates at her home on October 19. Click on the title or the photo to learn more. 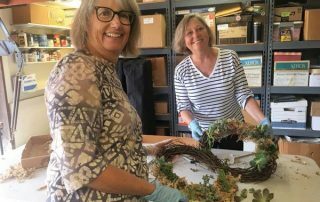 Jeanne Yale led a Green Thumb Craft project creating grapevine succulent wreaths at her home on September 21, 2018. Click on the title or the photo to learn more. 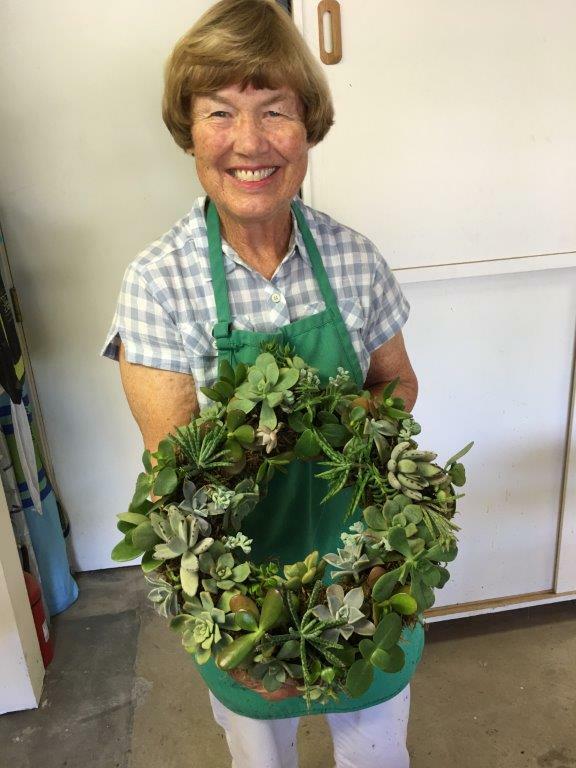 Once again, Jeanne held her famous Green Thumb workshop featuring holiday wreath making. Click on the title or the photo to learn more. 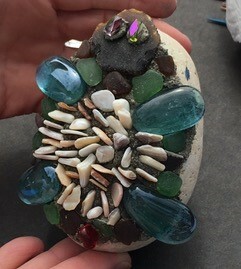 Natalie Harlow-Alison, our resident Green Thumb creative force, held yet another class where about 12 club members learned how to add cement to the top of rocks and embed decorations into the cement. Click on the title or the photo to learn more. Shells are beautiful containers for planting. Click on the title or the photo to learn more. Click on the title or the photo to learn more.